Home > Virginia Criminal Defense > Felony vs Misdemeanor: What is the Difference? 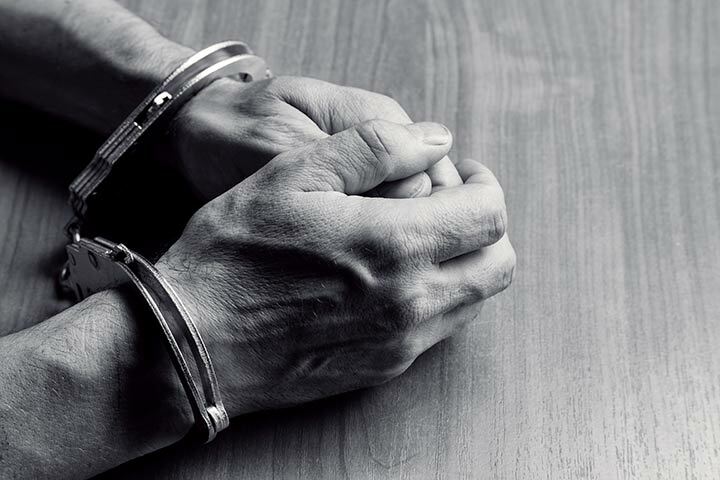 Felony vs Misdemeanor: What is the Difference? Posted on: December 19, 2016 By: Christopher Brown, Esq. Both federal and state law classify crimes in terms of their seriousness. As crimes move up the scale of seriousness, they also have more severe penalties as well, including fines, jail time, and other punishments. Jail time is important in any crime classification system. In fact, when considering felony vs. misdemeanor punishments, one of the most important elements is whether you will do jail time or how much jail time you will do. There are three general types of crimes in most states: infractions, misdemeanors, and felonies. State and federal statutes divide them based on the potential punishment associated with the crime. It is important to note that classification is not based on the actual punishment, but the maximum potential punishment instead. Most traffic tickets are infractions. In Virginia, traffic infractions are never punishable with jail time, although fines are common. You may also be punished for an infraction by receiving points on your driving record. However, it is important to note that some traffic offenses can be classified as misdemeanors. DUI and reckless driving are both Class 1 misdemeanors, which is the highest level of misdemeanor. A second offense of driving without a license and driving on a suspended license are also Class 1 misdemeanors. Jail time and large fines are associated with these charges. The federal government could also issue tickets as well and these are considered infractions. However, they are generally only administered when you commit a traffic violation or other small violation on federal property. These tickets are generally simple fines. Misdemeanors in Virginia are defined as crimes that are punishable by one year or less in jail. They have the same definition in the federal government as well. In Virginia, there are four levels of misdemeanors, and each has increasing potential penalties. These crimes are classified by the legislature based on the seriousness of the crime. Class 4 misdemeanors are the lowest level of misdemeanor. Examples of this type of crime include being drunk in public, destruction of property, or possession of certain controlled substances like marijuana or synthetic cannabinoids. The top fine for this type of offense is $250, and there is no potential for jail time. These offenses are only slightly more serious than Class 4 misdemeanors. The fine increases to $500, but there is still no possibility of jail time. Offenses that would fit in this category in Virginia would include the destruction of property with the intent to steal or possession of a Schedule V drug. These drugs often include prescription medications for which you do not have a prescription. Class 2 misdemeanors involve crimes such as first offense driving without a license or possession of a Schedule IV controlled substance, including certain narcotics, depressants, and stimulants. The fine is up to $1,000, and you can spend up to six months in jail for this type of offense. Class 1 is the highest level of misdemeanor in Virginia. It can include charges such as DUI, trespass, petty larceny, assault, and possession of a Schedule III drug. You can be punished with up to 12 months in jail and a fine of up to $2,500. Keep in mind that the punishments are not necessarily one or the other—you can receive both the full amount of the fine and the full amount of potential jail time. As is common throughout the United States, felonies are the most severe charges in Virginia. They are punishable by fines, imprisonment, and even the death penalty. There are six categories of felonies in Virginia, and each one has different potential punishments. However, in Virginia, lawmakers can also set specific crimes that have their own unique punishment. Federal felonies have tiers as well, and they are similar to Virginia’s classification scheme. Class 6 felonies are the least serious felony in Virginia. They are often referred to as “wobblers” because they are on the line between felony and misdemeanor. In some situations, they can be classified as misdemeanors instead of felonies. If they are classified as felonies, they have a punishment of up to five years in prison. Of course, if they are classified as misdemeanors, then they are limited to the punishments set out in Class 1 misdemeanors. It is at the discretion of a judge or jury to sentence based on a felony or misdemeanor. If you are charged with a wobbler offense, then your criminal defense attorney may argue to decrease the charge on to a misdemeanor on your behalf. Particularly heinous or egregious situations are likely to be charged as felonies. Examples of Class 6 felonies may include donating blood that you know is infected with HIV or crimes like animal cruelty. Class 5 felonies are also considered wobblers like Class 6 felonies. If you are convicted as a felony offense, then you be convicted to up to 10 years in prison. Battery on a person is one of the most common Class 5 felonies. The severity of the battery and circumstances of the alleged crime will play a big role in determining whether battery will be classified as a felony or a misdemeanor. This class of felony is the first in the range of seriousness that is not considered a wobbler. There is no possibility of moving down to a misdemeanor when you are charged with a crime that is considered a Class 4 felony. The prosecution can, however, change the charge to a lesser offense to decrease the amount of potential jail time involved. Class 4 felonies are punishable by between two and ten years in prison and a fine of up to $100,000. “Pimping” and arson of an occupied building are both examples of Class 4 felonies. Class 3 felonies are punishable by jail time of between five and 20 years. You can also be subject to a fine of, at most, $100,000. Malicious wounding is an example of a Class 3 felony. This charge involves the intentional injury of another person, with the objective of causing death, disability, or disfigurement. You can be imprisoned for life for a Class 2 felony. The minimum prison time for this type of conviction in Virginia is 20 years. You can also be fined up to $100,000. These charges often involve very serious crimes or the use of a deadly weapon. For example, burglary with a deadly weapon is a Class 2 felony while burglary is often either a Class 5 felony or a Class 3 felony, depending on how the burglary took place and when the burglary was attempted or committed. Class 1 felonies are the most serious crimes in Virginia. They are punishable by life in prison or death. The death penalty is only permitted when the defendant was an adult at the time of the offense and not mentally handicapped. Murder is an example of a Class 1 felony. If you are convicted of more than one crime, then the court may order that you serve dual punishments. This means that you can be sentenced as if there were two separate crimes even though there was only one criminal act. The court will often allow the punishments to run at the same time, but this is not always the case. Fine punishments are also often paired with jail time punishments as well. In most legal cases, one party has to bring a claim within a certain amount of time to be legally valid. Claims essentially have an “expiration date.” If you are not charged within that time, then you cannot be charged. These laws are commonly referred to as “statutes of limitations.” Although they are most commonly discussed in the context of civil litigation, they do apply to some criminal charges as well. For example, if you are not charged with a misdemeanor within one year of the incident, then the state cannot charge you with that crime. For serious crimes, such as manslaughter or murder, however, there is no statute of limitations. There are situations where the statute of limitations will be “tolled” or paused. It is also important to note that the statute of limitations does not apply to those who have “outrun” the law. One of the many things that a criminal defense attorney can do for you is walk you through felonies vs. misdemeanors and help you argue that the charged crime should be a misdemeanor. Contact The Brown Law Firm PLLC as soon as possible after you realize that you or a loved one has been charged with a crime. Asserting your rights quickly is especially important in a criminal case.